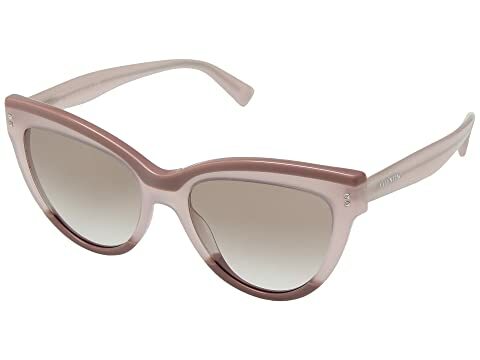 These modern cat eye sunglasses from Valentino™ are the epitome of glam! Lightweight and durable acetate frame and temples with contrast trim. Smooth acetate lenses provide 100% UV protection in a variety of shades for desired look and wear. Decorative silver-tone hardware 3D pyramids at each hinge. We can't currently find any similar items for the 0VA4034 by Valentino. Sorry!